Economic swings are common in capitalist economies, often thought of simply as “good times” and “bad times.” Sometimes, however, we experience extreme swings, from the Great Depression of the 1930s on the low end, to the “DotCom” and housing boom covering the years from the mid-1990s to the mid-2000s on the high end. Each of these economic events were followed by swings in the opposite direction; America’s entry into the Second World War led to a wartime economy and the end of the Great Depression, while the Internet and housing boom led to the Great Recession during which many people lost their jobs and their homes. Those who held onto their homes lost most if not all of the equity they had built up over many years, and they saw the value of their retirement savings drop dramatically as the stock market plummeted. Fortunately, the economy has stabilized, unemployment and interest rates are at historic lows, and consumers have begun buying homes, automobiles, and many other goods again. Many workers were hit very hard during the Great Recession, particularly those in manufacturing and the trades, jobs that typically pay well when the economy is stable and consumers are feeling confident about making significant purchases. As a community, state and nation, we all do well when not only we have jobs, but so too do our neighbors, friends, and family members. One of the clearest signs of an improving economy is the increase in “hard hat” jobs. While it is frustrating to sit in traffic, it is good to once again see our roadways being paved, office buildings being constructed, and homes being built. In southern New Hampshire, the widening of Route 93 from Salem to Manchester is ongoing, employing hundreds of hard working men and women earning good wages. 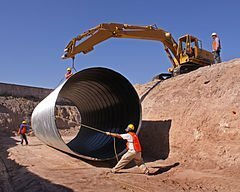 Office, school, and home construction creates numerous jobs for those in the building trades; iron and steel workers, heavy equipment operators, pipe fitters, carpenters, electricians, plumbers, brick layers, landscapers, etc. However, while we all breathe a sigh of relief that the economy has finally recovered, we must remember the human cost which can occur when an employer focuses on building too fast or overlooks workplace safety measures that protect the lives and livelihoods of those employed in these physically demanding and, often, high risk jobs. While it is important to build well, so too is it important to build safely to protect workers. For OSHA to be effective in preventing workplace injuries and deaths, however, it is critical that Congress continue to provide the funds necessary to ensure that it can fulfill its mission to keep workers safe on the job. Despite the workplace safety mission of OSHA, on average 16 Americans are killed on the job every day and many more are injured, some of whom are permanently disabled. OSHA is in place to prevent injuries from happening. But what if injuries do in fact take place? In New Hampshire, by law an employee who is injured on the job, through either an accident or occupational disease, is entitled to workers’ compensation benefits. This law is administered by the New Hampshire Department of Labor. New Hampshire employers are required to have workers’ compensation insurance to cover employees in the event of such injury. New Hampshire’s workers’ compensation law provides that the injury must be related to the work and occur in the course of employment. Injured workers should consult with attorneys experienced in workers’ compensation law, construction accident law, and Social Security disability law to assist with their claim. Family members of a worker killed on the job should consult with an experienced wrongful death attorney. 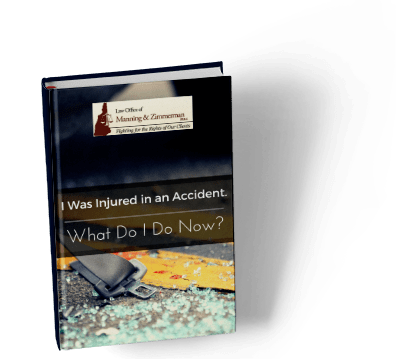 There are numerous deadlines and countless rules and regulations that require the injured worker, their employer, their doctor(s), and the workers’ compensation insurance carrier to take certain action. Insurance carriers have access to experienced and knowledgeable lawyers to work for them – injured workers should have an attorney on their side as well. At the Law Office of Manning & Zimmerman, the firm’s legal, medical, and extensive trial experience is utilized to obtain full and fair compensation for pain and suffering, lost wages, medical bills, and permanent injury. For a free consultation, call (603) 239-2427, email us at info@manningzimmermanlaw.com, or contact us by using the “contact us” form or chat feature on our website.